7/12/15 12:05 am UPDATE: As Governor LePage took no action on the additional 51 bills listed below before the deadline minutes ago, those additional bills have now become law as well. This post will be updated with any new information as it becomes available, as well as any statements from legislators. A curious thing happened on Monday night, as Maine realized that Governor Paul LePage had failed to act on 19 bills sitting on his desk within the 10 day window for a decision to veto or sign them- and as such, they became law. The next day, LePage and his administration denied that this was the case, stating that they were dead via the pocket veto option available to the chief executive… which is only true if the Legislature was not “at ease” but rather had “adjourned sine die” on June 30th (which they had NOT). But while the Governor and his staff continue to insist that they are right, the Revisor’s office disagreed. Here is the list of the 19 new laws. 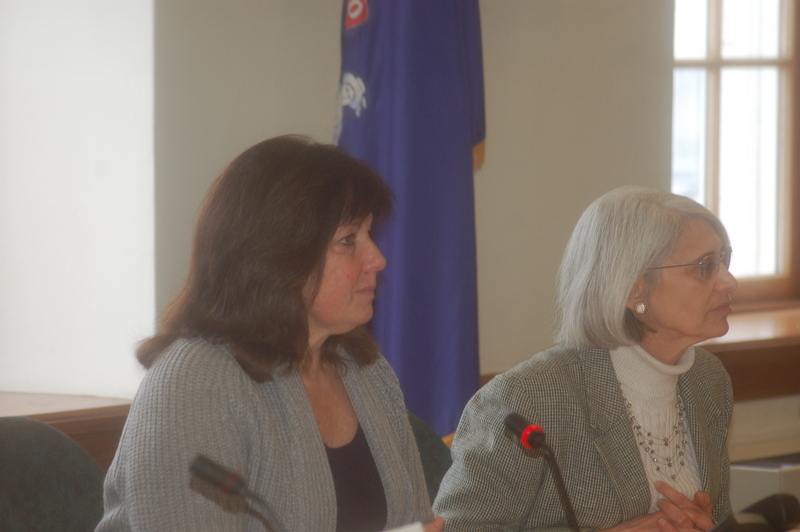 LePage’s lawyers Cynthia Montgomery and Hank Fenton quickly wrote to Grant Pennoyer, Executive Director of the Legislative Council, about the actions of the Revisor’s office. 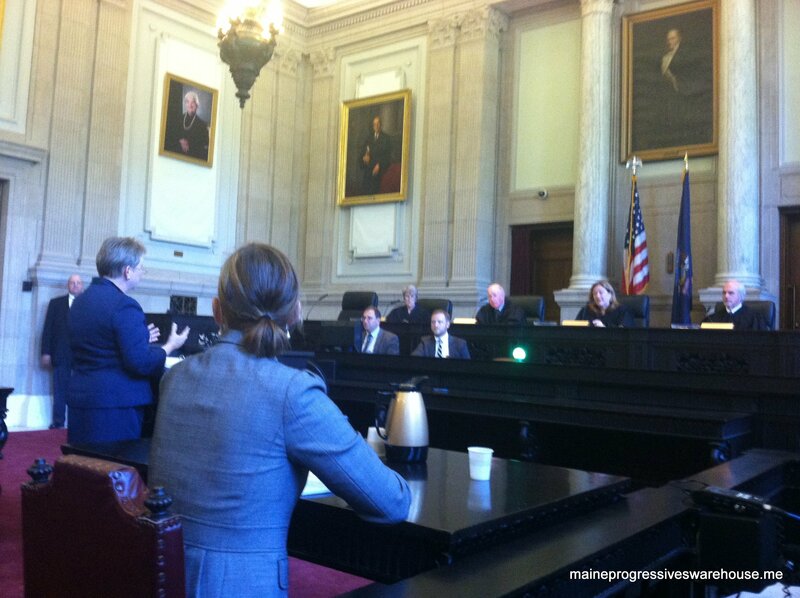 And Pennoyer responded back, just as zippety-quick… and against Team LePage. And here’s why it’s important. Moments ago, Maine’s Attorney General Janet T. Mills responded to requests earlier this week by Senators Tom Saviello (R-Franklin) and Asst Minority Leader Dawn Hill (D-York), on the question of whether or not the Legislature was adjourned sine die or not, as well as the status of the 19 now printed bills/ laws. As of yesterday, it was announced that another 51 bills could also become law if the governor also ignores them until after 12:01 am July 12th (Sunday). Here is the list of those bills. 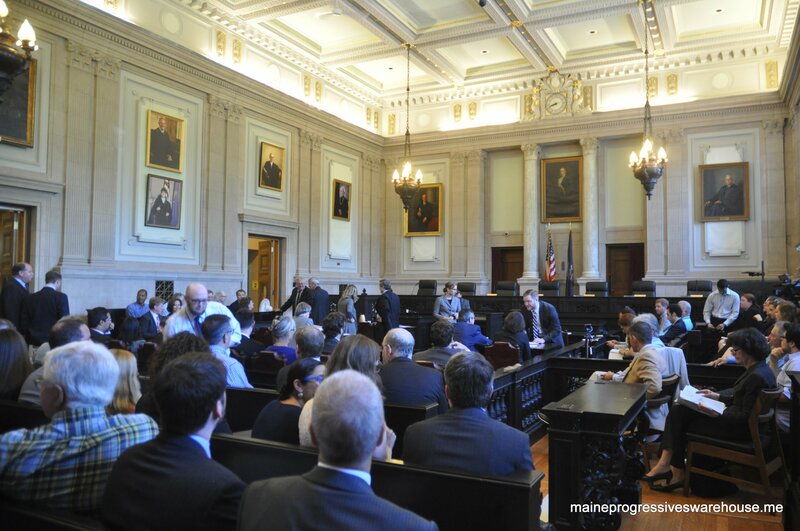 Who knows where next this goes– Maine may well see Paul LePage take the Legislature, the Revisor’s office, Grant Pennoyer and the Attorney General to court. It’s all anyone’s guess. 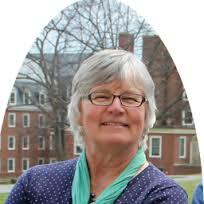 These days, working in Maine politics is a bit like living with Alice – Alice in Wonderland that is. What is up is down and what is down is up. Logic is lost and nonsense rules the day. In our Wonderland, the governor tosses the Constitution aside to make up his own rules. Good Morning. This is Assistant Senate Democratic Leader Dawn Hill of York. During his five years in office, Governor LePage has become adept at vetoing legislation. In fact, he holds the record for the Governor who has issued the most number of vetoes. This session alone, he’s vetoed nearly 180 bills. Governor LePage has not been shy about exercising his veto authority. And, no one, can begrudge him that authority. But, this authority is not without limits. 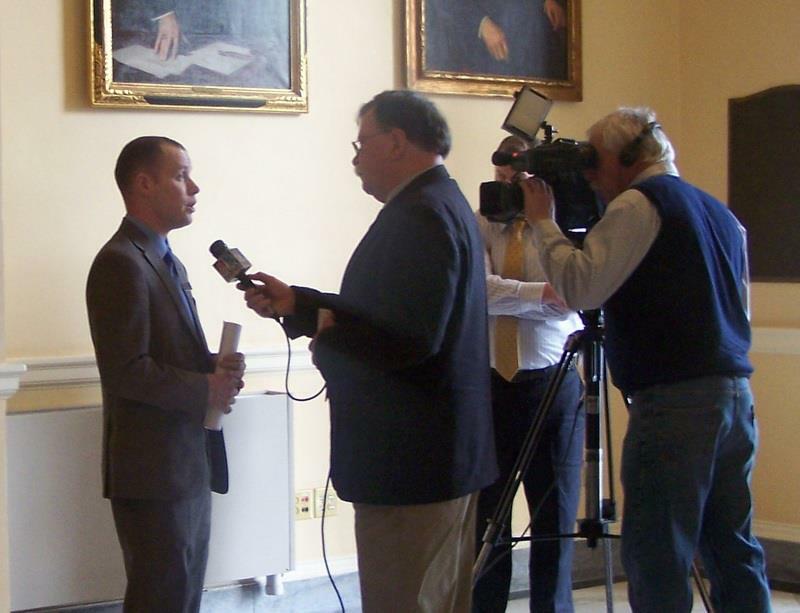 Under the Maine Constitution, during the first year of a legislative session, the governor has ten days to sign or veto a bill. If he takes no action, then the bill becomes law. During the second year of a legislative session, an additional method of veto, called a “pocket veto,” is available to the Governor. According to the Constitution, this is the only time a pocket veto can be used. And since we’re only at the end of the first year of the legislative session, the law is pretty clear on how he can veto. Whether Governor LePage was misusing a pocket-veto of a bill or, he lost track of the 10 day time limit for a veto, the Constitution is straightforward–those 19 bills ARE now law. The governor has threatened to take this all the way to the Maine Supreme Court. Why? There is no good reason–other than to point to more political gamesmanship. He often relishes in the idea of wasting lawmakers’ time–but what he’s forgetting by this latest round of threats–is that he is also wasting taxpayer dollars. He has become the monkey wrench in government that he purports to despise. The governor took an oath of office to uphold state law and the Constitution. Even as governor, he can’t pick and choose which laws to follow and which ones he can ignore. In this country, and in this state, no one is above the law. Governor LePage has overstepped and overreached; abusing the power that comes with the office of governor–again. Even his long-time political allies are unable to defend him. From Republican political pundits to lawmakers, one after another is stepping forward and condemning his actions. One Republican lawmaker publicly said that this was the straw that broke the camel’s back–adding, lawmakers must express “no confidence” in Governor LePage. What’s next? Well, hopefully nothing. 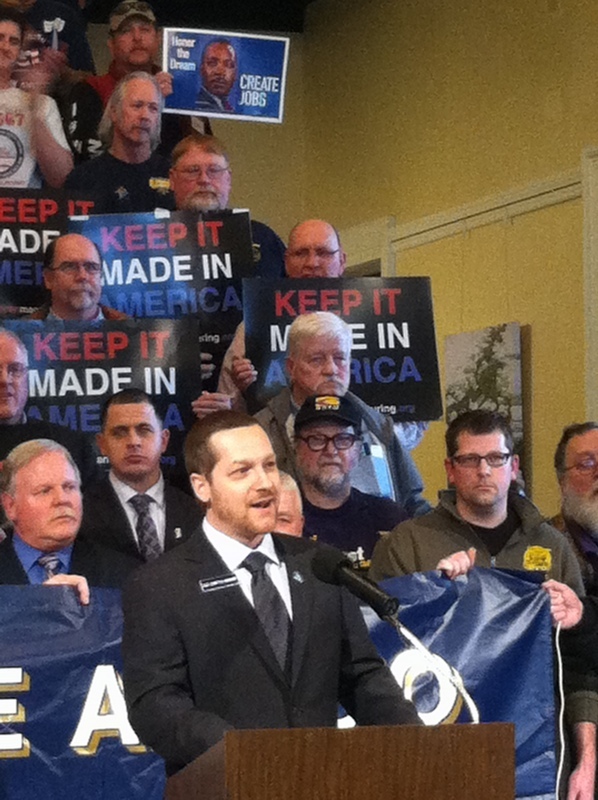 Most of us want to return to the legislative session next week and do our job. We want to continue finding pathways of success–continue passing bills that will make our communities stronger, our citizens more successful, and our state more competitive. We’re not in Wonderland–we’re in Maine. So the Governor can either get out of the way of the Legislature or join the team of Democratic and Republican lawmakers who are getting things done. Thank you for listening. 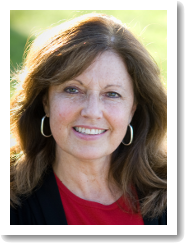 This is Assistant Senate Democratic Leader Dawn Hill of York. Have a very good weekend. 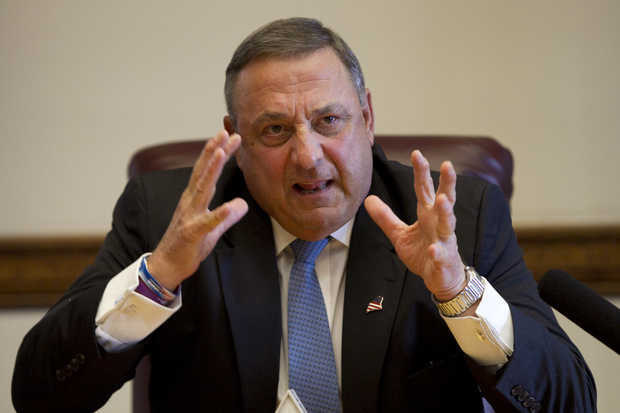 Late Friday news dump/ breaking news from Augusta, as Governor LePage vetoed LD 1858,“An Act To Achieve the Savings Required under Part F of the Biennial Budget and To Change Certain Provisions of the Law for Fiscal Years Ending June 30, 2014 and June 30, 2015” moments ago. 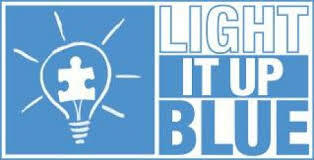 The measure was passed unanimously in the Senate with a vote of 35 to 0 and by a vote of 133 to 8 in the House. Governor Paul LePage refused to propose a budget despite shortfalls at his Departments, refused to allow his commissioners to provide information to the budget committee in public, and provided inaccurate information on the budget shortfall in the Department of Health and Human Services. LePage also never provided a funding source for his drug enforcement plan, which he claims was a top priority. Invest in key education and workforce training programs, including $650,000 for the Bridge Year program, $300,000 in funding for Jobs for Maine’s Graduates, and $750,000 for Head Start. The bill will now be added with a ever-growing list of others and dealt with by the Legislature on May 1, aka “Veto Day”. Appropriations and Financial Affairs Committee listen to testimony regarding LR 2721 (LD 1762) at public hearing. 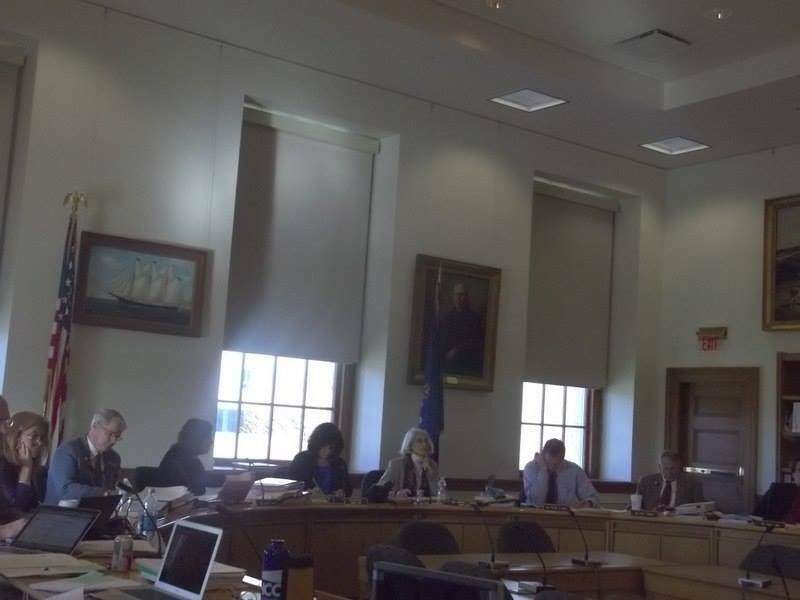 Yesterday the 126th Maine Legislature took up LD 1762, “An Act Related to the Report of the Tax Expenditure Review Task Force”, which originally passed the House last Thursday by a 114-21 vote on its first reading. The debate at that time was at times contentious, with Republicans divided on the merits of the bill and understanding their votes could have ramifications come November. House Republican Leader Ken Fredette’s floor amendment would task the Governor’s Office of Policy and Management with finding spending reductions to equal the $40 million needed for fiscal year 2015. 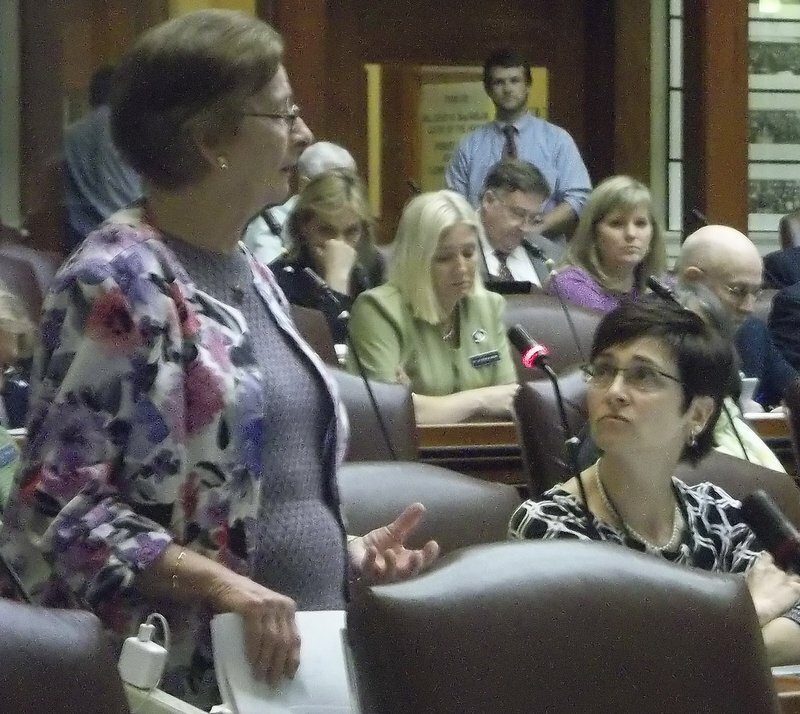 Rep. Lawrence Lockman (R-Amherst) introduced an amendment that would reduce welfare spending as an alternative to raiding the rainy day fund. Rep. Wayne Parry (R-Arundel) introduced an amendment to give $7 million in property tax relief directly to needy seniors and pay for it with revenue sharing reductions to municipal government. “Democrats talk a big game about helping the needy and the elderly, but it’s clear now where their priorities are,” said Rep. Parry. Rep. Dean Cray (R-Palmyra) had a very specific spending cut alternative to raiding Maine’s rainy day fund. 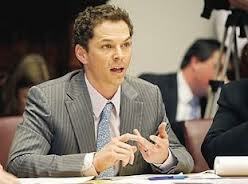 His amendment proposed eliminating green energy subsidies to replace $14 million in reductions to the rainy day fund. The cuts Rep. Fredette referred to via OPM were detailed in this earlier post from last fall and include cuts such as $1 million for vaccinations and $500k to Head Start, as well as many cuts to the Department of Corrections. At the 4:00 mark, Lockman discusses new taxes to be levied against Maine’s wealthiest non-profits, but relabels them creatively as “fair share recycling fees”. One wonders how Maine’s largest hospitals and colleges, which top the list of the state’s wealthiest nonprofits, would react to such “fees”? 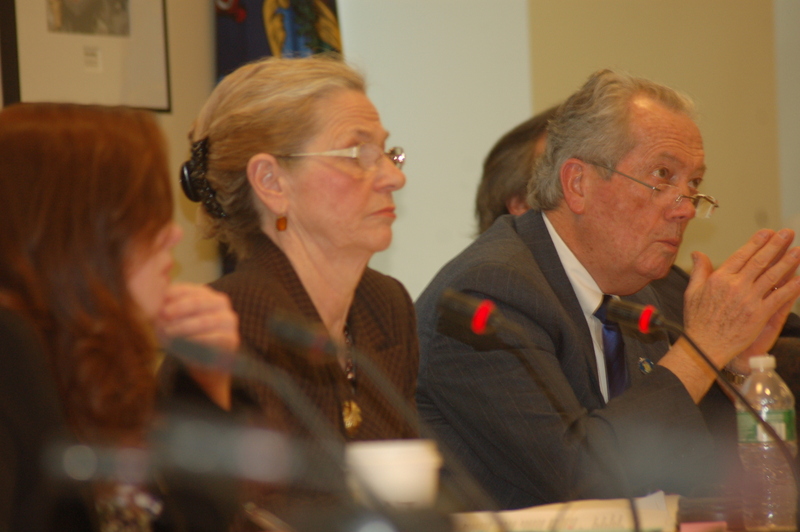 Rep. Parry’s amendment would still not address the municipal shortages of the communities tasked with providing services such as police, fire and public works to the very senior and needy citizens that his proposal was supposedly aimed to help. A reminder: Recently as many as 100 municipalities were represented at a public hearing regarding this bill and spoke of the harm that revenue sharing was doing to their communities. As for Rep. Cray’s offering… let’s just say that “renewable energy” will never be an honest focus of the LePage administration. 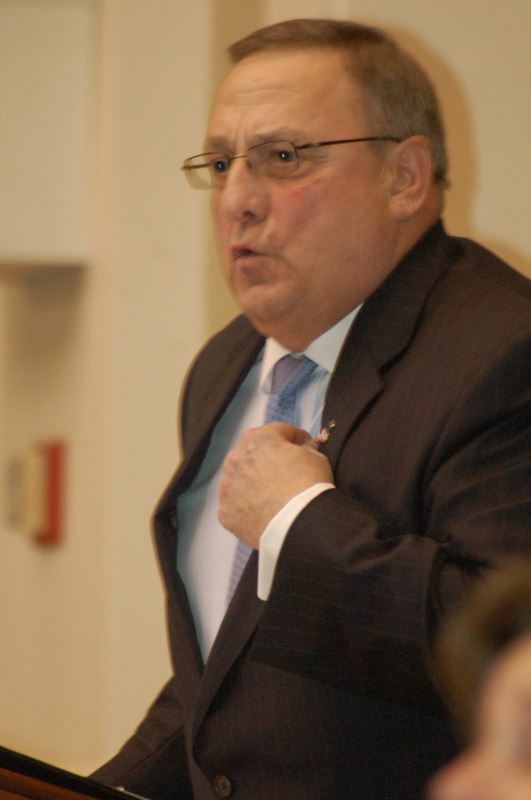 In December, Governor Paul LePage outraged many by labeling revenue sharing as “welfare” , a position he did not take as Waterville’s mayor in 2009. While LePage has indicated that he would either veto the bill or hold hostage $100 million in voter-approved bonds meant to pay for infrastructure projects were LD 1762 to pass, there has been no word yet from the second floor as to what comes next.